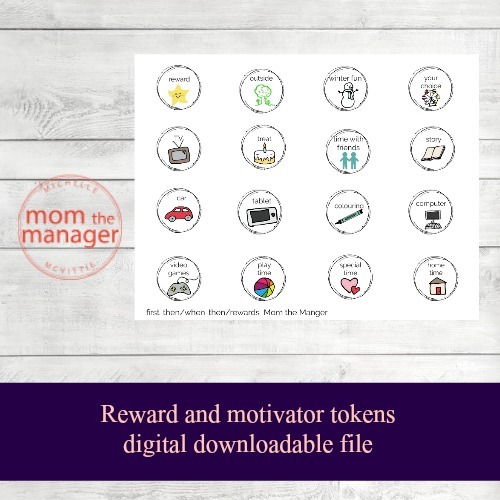 16 reward and motivational tokens. 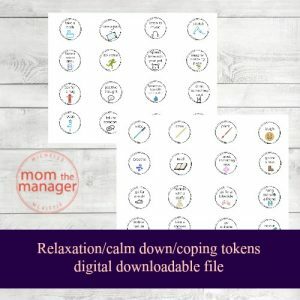 These tokens can be used with any of my charts, as you see fit. They will work especially well with the When-Then and First-Then chart. Moving from one activity to another can be difficult for children. They need a motivator to help them get the task done. For example: when you brush your teeth, then you can watch t.v. The reward can be something they are working towards, or what motivates them to get a task done. 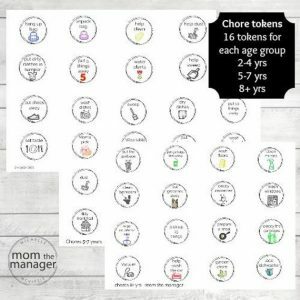 These tokens are good for ages 2+ years. 1 PDF file Print each file on 8.5 x11 page. 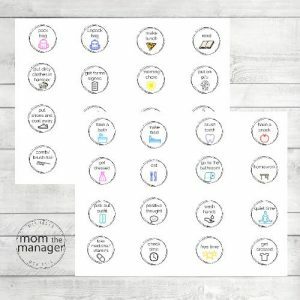 For best results use a 1.5 inch round punch to cut the tokens out. These files are for your personal use only, they are not be sold or redistributed. I’m a child life specialist, a mental health professional, speaker, parenting expert, author, wife and mother.